Add meaning to your miles with Team Chicago Run! Members of Team Chicago Run raise funds and awareness for the organization while training to run the Bank of America Chicago Marathon! Runners are provided with a complimentary & guaranteed race entry, CES summer training, weekly newsletters, Chicago Run apparel, training events, and exclusive race weekend amenities. If you are interested in joining Team Chicago Run for the 2019 Chicago Marathon, please email Casey (casey@chicagorun.org) or click below for additional info. Conquer your next race or athletic event with Team Chicago Run! You can achieve a personal milestone while sponsoring Chicago Run programs that help students get active through innovative running & fitness programs. Choose your own adventure- ANY race, ANY place! 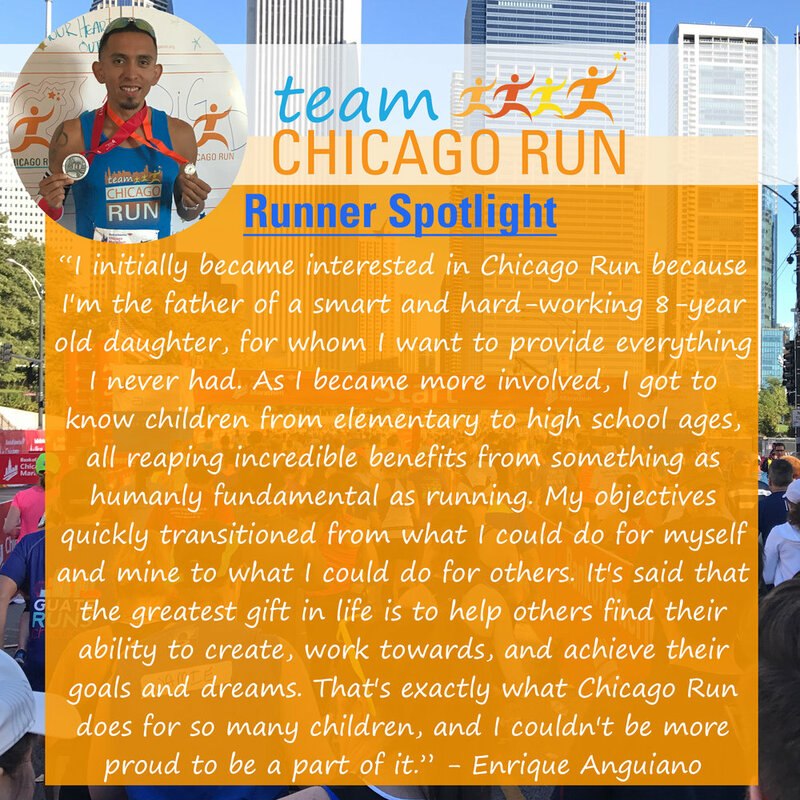 Check Out the Runner's Spotlights Below Featuring Members of the 2018 Team Chicago Run! Check Out the Runner's Spotlights Below Featuring Members of the 2017 Team Chicago Run!